Harley Sundown loves basketball so much that not even cancer could slow him down. The 53-year-old boys basketball coach at Scammon Bay a year ago had prostate surgery on the eve of March Madness Alaska. He still coached Scammon Bay at the Class 1A state tournament and led the Eagles to the championship game. “I was very weak at that time, but it was something I loved so much I was willing to do that,” Sundown told me. Scammon Bay lost the title game to Seldovia. It was the second time in three years that Sundown led his team to the biggest game of the year. The basketball season capped a tough time for Sundown, who commuted back and forth from Scammon Bay and Anchorage for cancer treatment. “I tried to schedule my appointments so I’d be back before the games,” he said. He had surgery in February, just a few weeks before the state tournament. While in the hospital, Sundown couldn’t help but think about his family, his friends and the game he loves. It was scary at times. Coaching provided him with an escape from the seriousness of his cancer treatment and surgery. He felt an obligation to his players to finish the season. His mom always taught him to stick with what he started. “She told me not to lose focus on the things you love,” Sundown said. “Even though you are having a hard time with other things, don’t quit. The Sundown name has long been associated with Scammon Bay basketball. 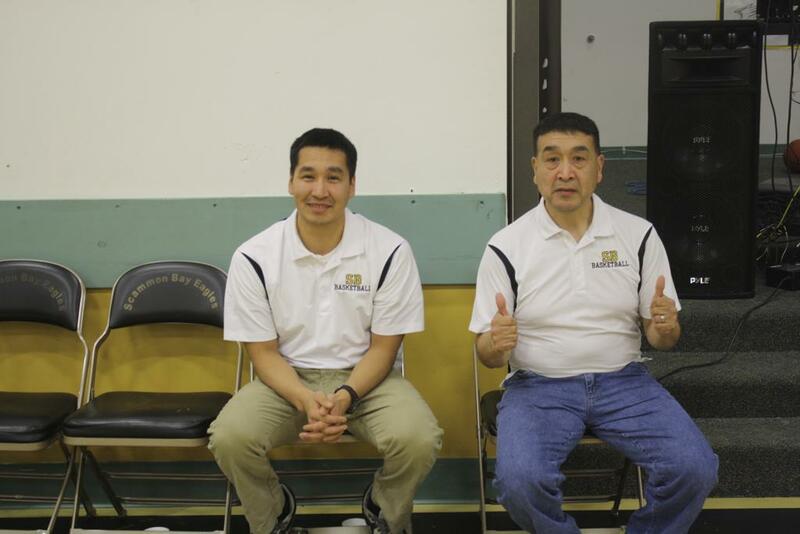 Harley has coached in the Western Alaska village since the late 1980s and has been the high school boys coach for the last 20 years. His oldest son Herschel was an all-star for the Eagles and went on to play college basketball in Port Angeles, Washington. He currently coaches he girls team. His other two sons – senior Jerry and junior Theodore – are currently on this year’s team. Scammon Bay is having another strong season, flashing a 16-6 record and boasting a nice combination of Theodore Sundown and Shandon Rivers. Theodore Sundown is a 5-foot-8 guard averaging a team-best 22 points per game. His bread and butter is taking the ball to the basket. His season high is 34 points. Rivers is a 5-foot-11 forward who is scoring 16 points per game. “We’ve got a pretty good 1-2 punch,” Coach Sundown said. Sundown was a good player in his own right. He graduated from St. Mary’s in 1982 and went to school at the University of Alaska Fairbanks, where he tried to walk on the team in 1984. His passion for basketball never faded. It’s a love his boys embraced. “When they were growing, if I wasn’t teaching or doing something, I would go play village league basketball tournaments,” he said. As a father, Sundown was determined to be a positive role model for his boys and teach them about a healthy lifestyle. “My mom didn’t play any sports. She was a traditional elder. She said, ‘Your kids are going to do what they watch you do,’” Sundown said.